Who doesn't love listening to music while they're driving? The open road and an awesome playlist make for a perfect pairing, but it can become quite the challenge if you're trying to follow your navigation app at the same time. Do you watch the map to see where you have to turn next, or do you leave your music app open so you can skip and rewind songs? Well thankfully, we no longer have to choose now that Spotify and Waze have partnered up. While this only works on Android devices, it will surely please millions to know that they can now seamlessly follow directions and control their music from within either application. It's a fairly simple process, all you need is to have both applications installed and be logged into both with your accounts. 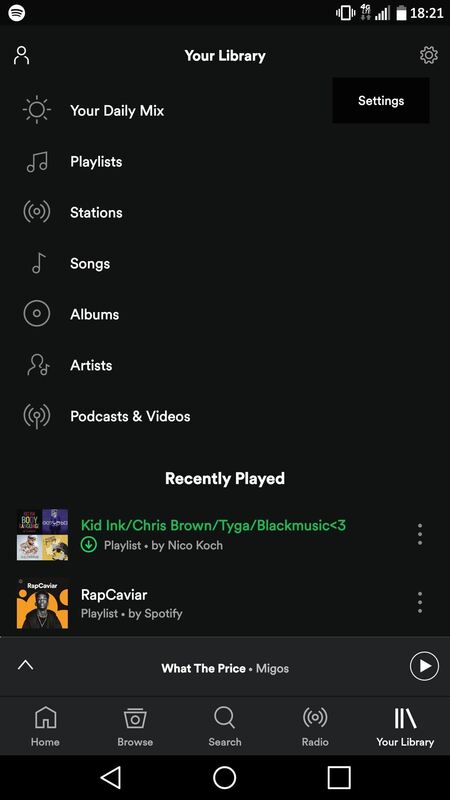 Start off by launching Spotify and tapping on the "Your Library" icon in the bottom-right corner. From there, tap on the settings gear in the top-right corner. Next, scroll down to the Social section and enable the "Waze navigation" toggle. After you toggle "Waze navigation" on, a blue banner will appear on the top of Spotify prompting you to go to Waze. 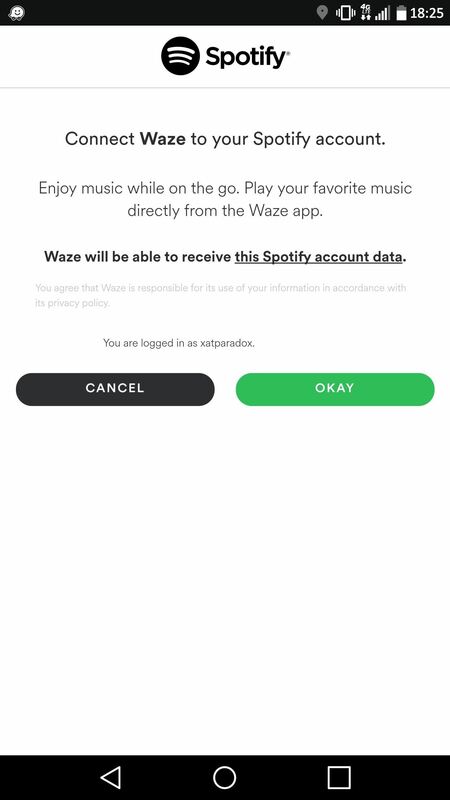 The first time you tap on this after enabling the Waze integration, Waze will launch and ask if you want to connect Waze to your Spotify account. 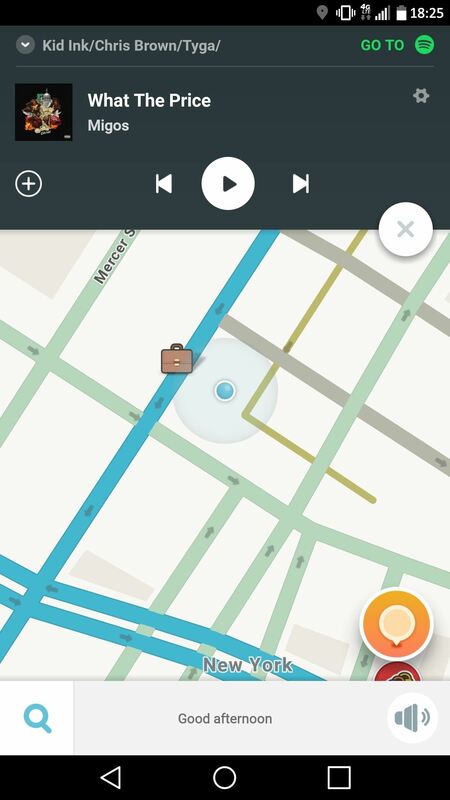 Tap on "Okay," and you'll notice a new Spotify floating icon on the Waze map. 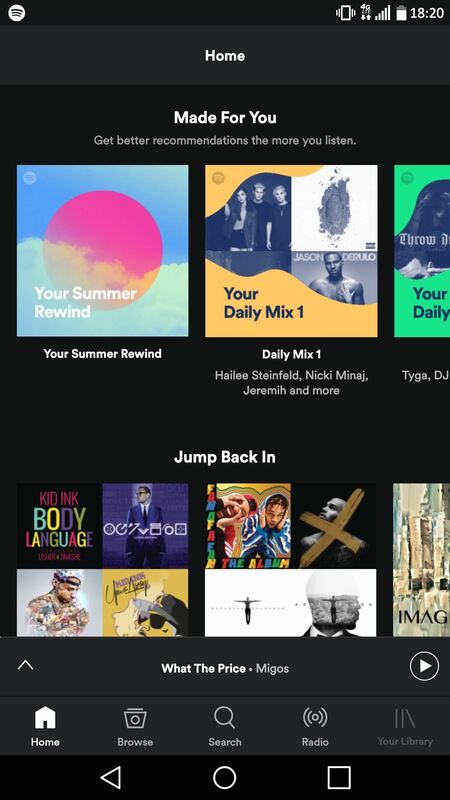 Tapping on the Spotify icon in Waze will show a header corresponding to the current or last song you were playing in Spotify with basic playback controls. If you tap on "Go To Spotify" here, you'll see the blue banner now displaying the next navigation step. If there isn't one, the banner will simply retain the "Go to Waze" text as though asking you to enter a destination on Waze before continuing. If for some reason Waze doesn't automatically prompt you to connect your Spotify account, you can manually do so by tapping the search icon in the bottom-left corner of Waze to pull out the side menu. Then tap on the settings gear icon and scroll down a little bit to "Spotify." You'll see a singular toggle for "Connect Spotify" — tapping on this will bring up the Connect Waze screen. 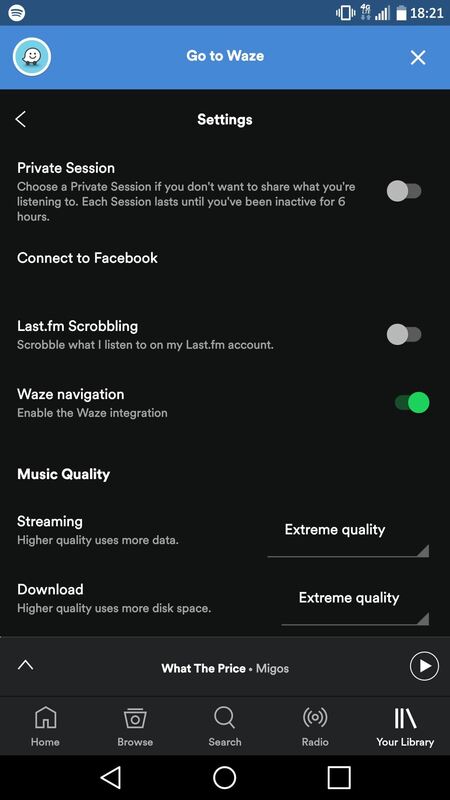 After you've connected your Spotify and Waze accounts together, both apps will work together in conjunction. 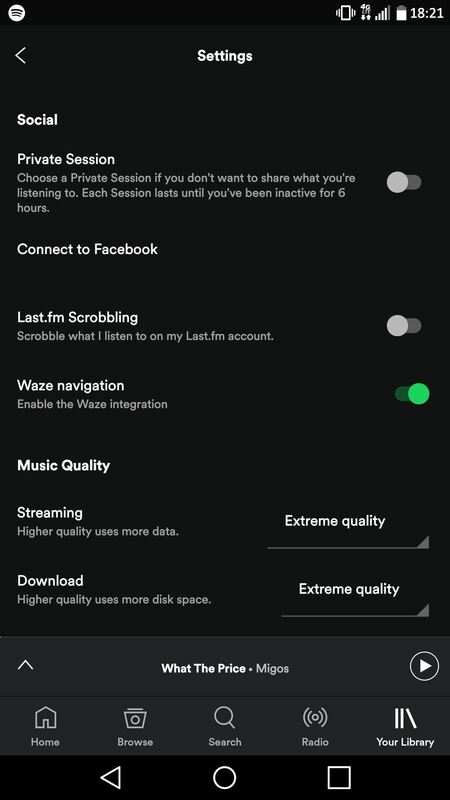 Launching Waze will always present you with the green Spotify floating icon, while Spotify will detect when Waze is running in the background and automatically bring up the blue banner for directions.